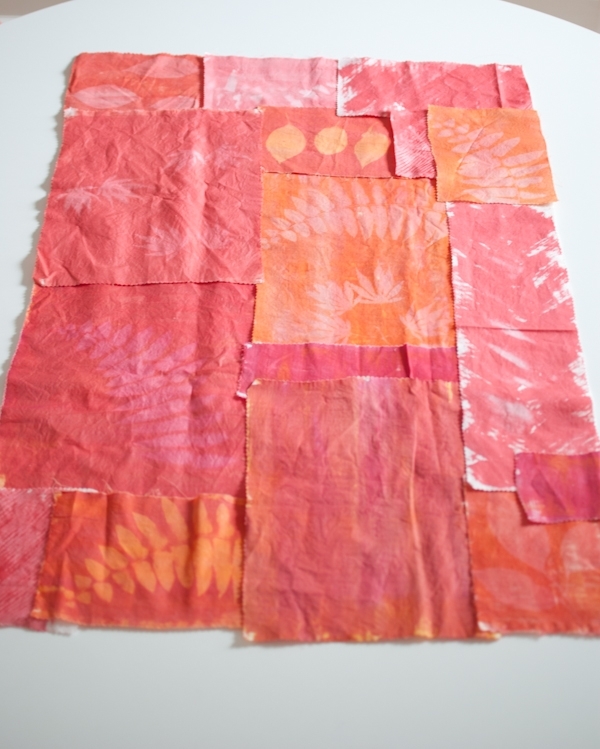 As a child I loved making sun prints, and as a mom I have bought sunprint paper many times for my kids. So when I discovered Inkodye Light Sensitive Dyes, I couldn’t wait to try them! 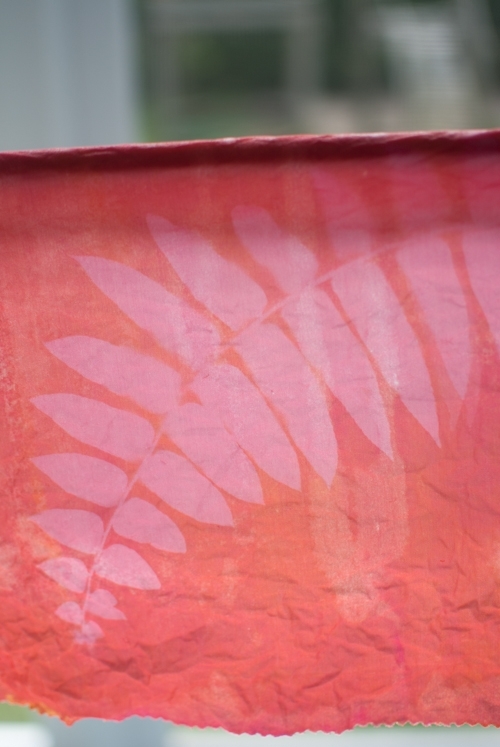 Instead of paper, Inkodye harnesses the power of the sun to create images on fabric. For me this is definitely an exciting development! I knew my kids would enjoy trying Inkodye too, so we set up a big table, gathered our supplies, and got ready to experiment. I cut a yard of Moda’s Muslin into about 16 small pieces, knowing that I would probably patchwork them back together again. Having a lot of scraps to work with eliminated the pressure to get it “right” on the first try and kept us all loose and creative. The next step was to get printing! We knew we wanted to play with botanicals and so snipped a few blossoms, leaves, and stems from our garden. Ferns and Japanese maple leaves made particularly nice prints, but we also tried hydrangea leaves, a clematis vine, and some other flowers too. We all loved watching as each print evolved in the light, surprising us every time! Some designs I started by brushing on a color and exposing it before adding any leaves. 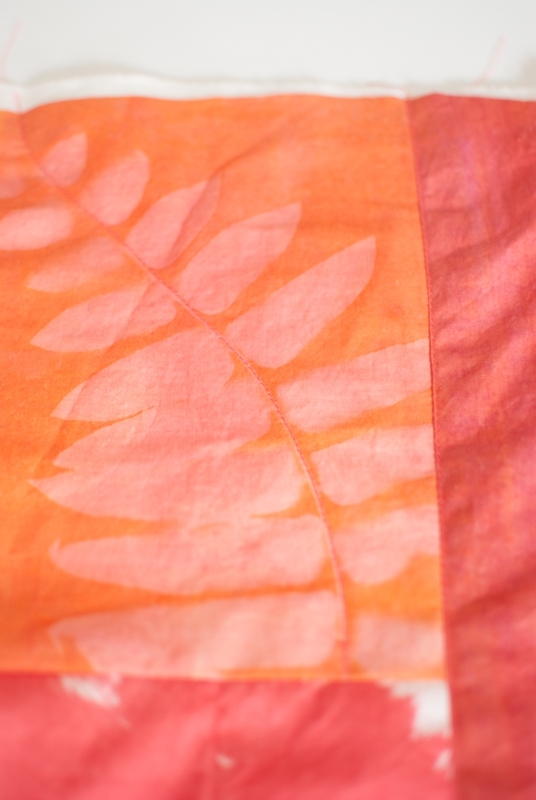 After letting the fabric expose for ten minutes I brushed on a second color and placed the leaves for a second exposure. Even layering a lighter dye over a darker one created some pretty, subtle prints. For a few pieces I did not use any leaves but instead just experimented with brush strokes and pattern using a special comb (above). 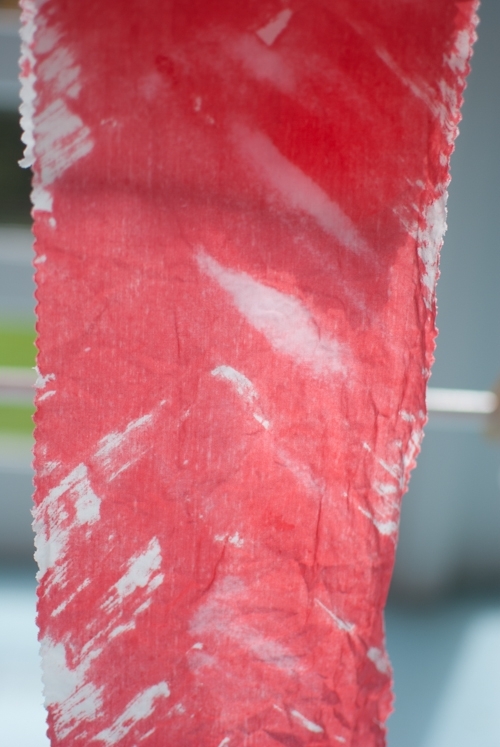 When we were finished dyeing, I started to think about what I could make with our fabric. I had plenty of fabric for a quilted bag and so with some Quilters Dream Cotton Batting, I got busy. 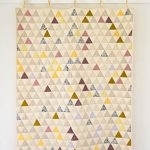 To read all about my piecing and quilting process, just visit my blog, Eclectic Mom! 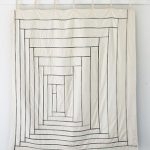 Once I had created a lovely piece of quilted fabric, I turned to Molly’s fabulous 40 Minute Tote pattern. I used my own fabric for the outer layer, 3/4 yard of Shot Cotton in Watermelon to line the bag, and Gutermann’s Cotton Thread in color 4930 to sew it. 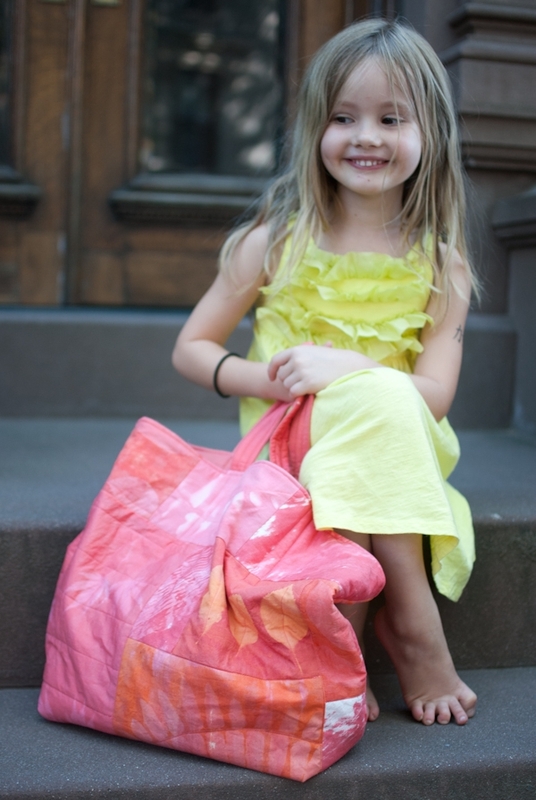 13 Responses to Amy Gropp Forbes of Eclectic Mom: Inkodye! So beautiful….I love making those things with paper, but will have to try it on fabric…..thanks for sharing! The colours are stupendous! What a great technique. so, so lovely. what a happy-looking bag! I too grew up with sun prints, and this looks like a must-try. thanks for sharing. Wow, the bag turned out beautiful!! I've never heard of those sunpaper things so now I am very intrigued! Wow! I'm in love! I must get my hands on some of this. Those look beautiful. You've reminded me that I have some similar dye somewhere in my craft room (though it's so old it might be better to buy some new stuff). I never used it though because I couldn't figure out if you ha to expose the fabric while the dye was still wet or let it dry and then put it in the sun. Any tips? colors and composition are really gorgeous! I loooooove it!!! 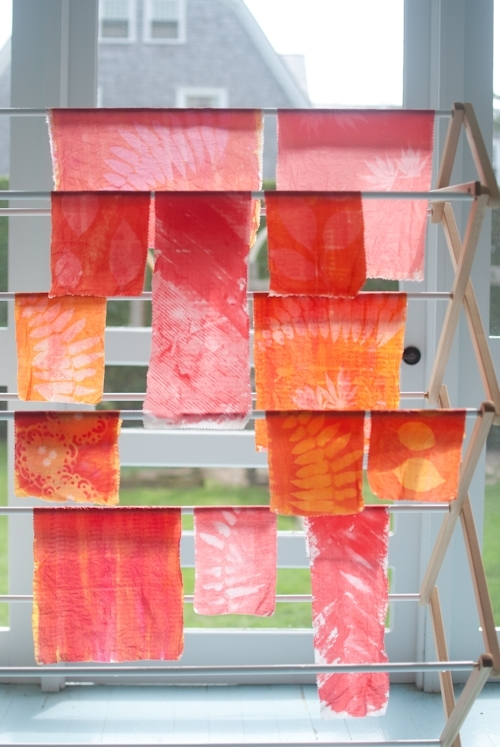 What a lovely project, and very timely as I'm planning on using Inkodye with my kids this week. I have found that the red dye develops quickly but if you're patient the blue becomes quite intense. 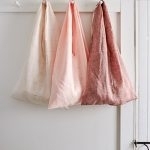 So glad to know that Purl Soho is now carrying this product! 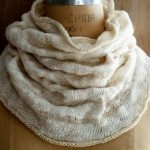 Such a great idea…I'd love to do this with some silk. OR maybe silk jersey and then turn it into a top or a pair of leggings. For our project we painted on the dye out of direct sunlight and then, after arranging items to silhouette, took it into more direct light while it was still wet. The main thing to be aware of is speed rather than wetness…even indirect light will start the exposure but much moe slowly than direct light. This looks like so much fun! I need to get some of this for sure!